Infinix S2 Pro is one of the best smartphones under UGX 600,000.The phone’s current price is UGX 600,000. Currently, Kilimall is the only online company that is selling the phone below UGX 600,000. Recently, someone asked me? 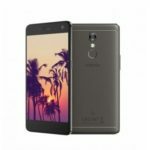 Can I buy Infinix [email protected] Pro? This question came after one of his friends recommended the smartphone. I actually advised him to check the price and look at the features. Any phone with 3GB RAM and internal memory of 32GB is not an ordinary phone.Interestingly,this phone’s camera is 13MP.